The Kansas City Chiefs return from their bye week to take on the Oakland Raiders in Week 13. Which players should you target and avoid on the FanDuel late afternoon slate? With the bye weeks now behind us, there are once again four games on the FanDuel late afternoon slate. Headlined by the Minnesota Vikings visiting Foxboro to take on the New England Patriots, the 4:05 pm ET slate could include a few blowouts with two games carrying a spread of at least 10 points. In what could be the most competitive game on the slate, the 6-4-1 Vikings face the 8-3 Patriots in a matchup of two teams jostling for playoff position. The Patriots are 5.0-point home favorites in this game which has a 49.5-point over/under, the second highest on the slate. The Kansas City Chiefs return from their bye week to face a lifeless Oakland Raiders team that has lost six of their last seven games. The Chiefs are 15.5-point favorites, the largest spread of any game in Week 13. Elsewhere, the Seattle Seahawks are 10.0-point home favorites against the Nick Mullens-led San Francisco 49ers. After his three touchdown debut against the Raiders in Week 9, Mullens has thrown more interceptions (four) than touchdowns (two) over his last two games. Finally, the Tennessee Titans and New York Jets square off in the matchup with the lowest projected over/under. The Jets have an implied team total of just 16.25 points with both Josh McCown and Sam Darnold limited in practice this week. Among the tournaments on the FanDuel late afternoon slate this week, the $200,000 NFL Rush costs $7.77 to enter and pays out $40,000 to first. The $40,000 NFL Bomb is a $33 entry tournament with a first place prize of $8,000. Of the single entry events, the $30,000 NFL Spike is $5 to enter and pays $3,000 to first. 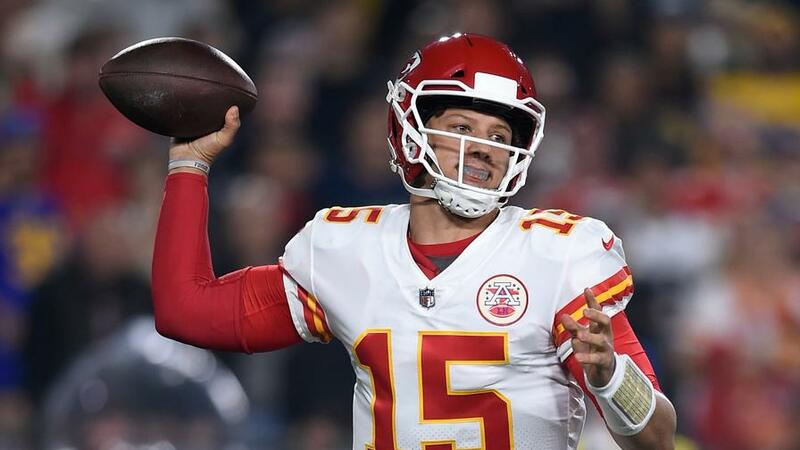 Lock: Patrick Mahomes ($9,500) - Mahomes' price makes him a prohibitive play as he is priced $1,600 more than the next most expensive quarterback, but his matchup is mouth watering against a crumbling Raiders defense. The Raiders' pass defense ranks as the league's fourth-worst, per numberFire metrics, and they've allowed 25 passing touchdowns through 11 games, second-most leaguewide. Meanwhile, the Chiefs are averaging 36.7 points per game and they carry the highest implied total on this slate (35.25 points). Mahomes has accounted for multiple touchdowns in all but one game this year and the only negative for him this week is the steep price tag. Fade: Nick Mullens ($6,200) - Mullens is one of the cheapest options on the slate, but it's been a struggle for the second-year quarterback since his big game against the Raiders. Over the last two weeks, Mullens has thrown four interceptions and just two touchdowns despite plus matchups against the New York Giants and Tampa Bay Buccaneers. Mullens and the Niners now head to Seattle to take on a Seahawks defense that has forced 17 turnovers this year, 10th-most among all defenses. Sleeper: Kirk Cousins ($7,600) - The fourth-most expensive quarterback on the slate, Cousins is averaging 40.6 pass attempts per game, fourth-most among all quarterbacks. He's also averaging 299 passing yards per game, which ranks fifth among quarterbacks. This week, Cousins faces a Patriots pass defense that ranks 19th, per numberFire metrics, but also struggles to pressure the quarterback. The Patriots have 17 sacks this season, third-fewest among defenses. The Vikings have been relying heavily on Cousins to carry the offense this year and if they're to upset the Patriots on the road, it will be behind a big game from Cousins. Lock: Kareem Hunt ($8,900) - The most expensive back on the slate, Hunt faces a Raiders run defense that ranks as the league's second-worst. Opposing teams are averaging 151.4 rushing yards per game against the Raiders, most in the league. 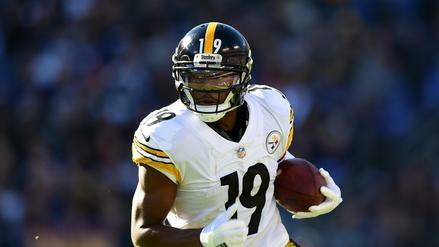 Hunt, meanwhile, is averaging 18 touches per game and has scored at least 1 touchdown in all but two games this year. Hunt's also a valuable red zone weapon for the Chiefs with a 33% red zone market share. Editor's Note: Since publication, Hunt has been released by KC. Fade: New York Jets Running Backs - Over the past three games, Isaiah Crowell ($5,500) and Elijah McGuire ($4,900) have split snaps and touches near equally, but neither is an attractive option in Week 13. The Jets carry the lowest implied team total (16.25 points) on the slate as 8.0-point underdogs. Operating in a committee over the past three weeks, only McGuire has gone over 60 yards in a game during that span (67 yards, Week 9). The duo has also combined for just one touchdown over the past three weeks in a Jets offense that has scored a total of 29 points in those three games. Sleeper: Chris Carson ($6,300) - Carson is the fifth-most expensive back on the slate and game script may benefit him greatly in Week 13. The Seahawks are 10.0-point home favorites against the Niners and Seattle has shown already this season that they'll ride Carson as their lead back. He has two games with 25 or more carries and over the past three weeks he has accounted for 43% of the team's carries. With Reuben Foster no longer on the Niners' roster and the Seahawks as big home favorites, it could be another 25-plus carry game for Carson. Lock: Adam Thielen ($8,100) - The league leader in receptions (93), Thielen has had either 100 yards or a touchdown in all but one game this season. Thielen has been out-targeted by teammate Stefon Diggs 29 to 19 over the past three weeks, but both Vikings receivers make for great plays with how often Cousins has been dropping back to throw. As mentioned with Cousins, the Patriots pass defense is below average (19th), per numberFire metrics. Fade: San Francisco 49ers Wide Receivers - With Marquise Goodwin sidelined last week, Dante Pettis ($5,300), Kendrick Bourne ($4,700), and Richie James ($4,600) handled the majority of wide receiver snaps. Pettis led the way with 4 catches for 77 yards and a touchdown on 7 targets. But that was against a Buccaneers pass defense that ranks as the league's second-worst, per numberFire metrics. It will be a stiffer test on the road against Seattle this week. Sleeper: Josh Gordon ($6,600) - Since joining the Patriots in Week 4, Gordon has only two touchdowns and two 100-yard games. But this week, he'll face a Vikings defense that may be without top cornerback Xavier Rhodes. Rhodes suffered a hamstring injury last week, and although the Vikings are optimistic he'll play this week, he's been sitting out practice. Over the past three games, Gordon ranks second on the Patriots in targets (26), seeing just one fewer look than Julian Edelman (27). Facing a Vikings run defense that ranks as the league's second-best, the Patriots may lean on Brady to throw more in this matchup, which would benefit Gordon facing a secondary missing Rhodes. Lock: Travis Kelce ($7,800) - Unlike most weeks, there is a bevy of tight end options on this slate with Kelce as the headliner. Kelce ranks second to only Zach Ertz in targets (101) and receptions (67) among tight ends this season and his 7 touchdowns are second only to Eric Ebron (11) at tight end. Kelce has scored fewer than 10 FanDuel points in just 3 of 11 games this year and he's scored a touchdown in 3 of his past 4. Fade: Chris Herndon ($5,600) - Herndon has had a nice rookie year, leading all rookie tight ends in receptions (26). He's also found the end zone three times, which ties him for the team lead in receiving touchdowns with Robby Anderson. But there are a couple of factors pointing against Herndon this week. With Darnold and McCown looking questionable for this week, the Jets carry the lowest team total on the slate and the Titans have been a tough matchup for opposing tight ends. The Titans are the only team in the league yet to allow a touchdown to opposing tight ends and they've given up just 390 receiving yards to tight ends, second-fewest in the league. Sleeper: Kyle Rudolph ($5,600) - The fifth-most expensive tight end on the slate, Rudolph is coming off of one of his best games of the season. Against the Packers in Week 12, Rudolph caught 7 passes for 63 yards and he'll now face a Patriots defense that has allowed the fourth-most fantasy points to opposing tight ends. This includes seven touchdowns, which is the second-most allowed to tight ends by a defense this season.